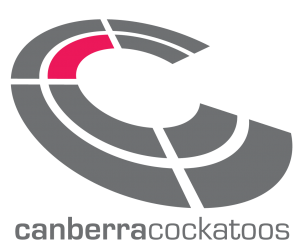 The Canberra Cockatoos represent the ACT in the National Orienteering League. 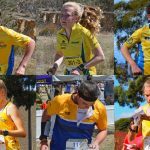 The National Orienteering League is Australia’s premier orienteering competition. The League is primarily a teams’ competition: each State fields teams of at least three men and three women in a number of stages (a total of 14-18 per season). In addition, there is a points competition, the National Series, for individual glory. The competitions are similar to the Tour de France in that the teams’ competition is based on the placings of team members in stages. However, rather than all the stages being conducted consecutively, the stages are spread throughout the year in rounds of events (4 to 5 rounds per year). Except for Relays, National League points are awarded on the basis of the fastest times for the first three competitors from each team in each division of each stage of the National Series. Relay points are awarded on the basis of first team to finish for each State team. The seven teams in the competition are: Canberra Cockatoos, NSW Stingers, Queensland Cyclones, Southern Arrows, Tassie Foresters, Victorian Nuggets and the Western Nomads. The Canberra Cockatoos are in general an inclusive group for all orienteers. 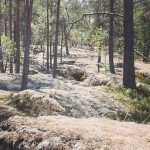 Training activities (orienteering and/or running sessions, and training camps) are held regularly for anyone to attend. 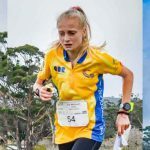 However, the Canberra Cockatoos represent the ACT in the National Orienteering League – the highest level of competition in Australia – so in order to be eligible for support (funding and uniforms) from the Cockatoos some minimum standards must be met by athletes wanting to compete in the Cockatoos team. regular attendance at NOL rounds outside the ACT. Finally, there is also an expectation that all members of the Canberra Cockatoos assist by organising training or when the Cockatoos are assigned an OACT event. In all cases, aspiring athletes should contact the Coach or Manager with an expression of interest. This can be done in person or by email/phone (see contact information on OACT Officers page). Orienteering ACT is run by volunteers. There are a wide variety of positions and tasks. Any help, no matter how small, is greatly appreciated.